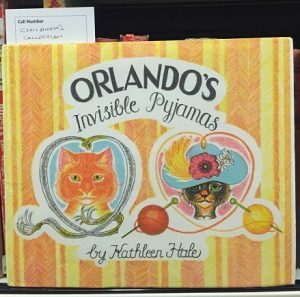 Written by Bethan Davies, Trainee Liaison Librarian. The title page of Book of Domestic Poultry (Reserve 636.5) with illustration of wild poultry. 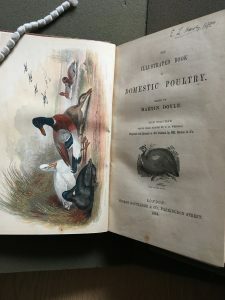 Published in 1854, The Illustrated Book of Domestic Poultry includes stunning oil colour prints of a range of domestic fowl, and includes detailed information on breeding and rearing individual species. The named editor “Martin Doyle” is actually the pseudonym for the Irish writer and philanthropist Rev. William Hickey. Hickey was concerned with the state of the poor Irish farmer and wrote several tracts relating practical advice on husbandry and agricultural methods. 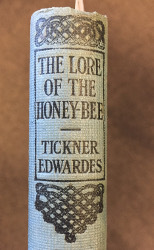 The illustrations from this title were drawn from nature by Charles Havey Wighall (1794 – 1877), a landscape and portrait painter. 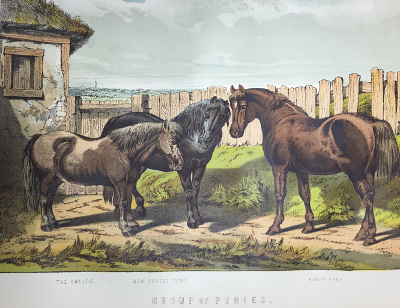 Wighall also wrote several guides to painting and drawing, including the apt Guide to Animal Drawing (1862). 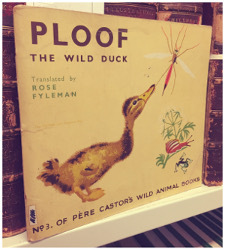 Ploof the Wild Duck (Children’s Collection F. 598 LID. 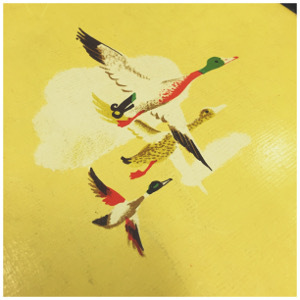 Taken from our Children’s Collection, Ploof the Wild Duck (1938) follows the titular duckling as he grows up alongside his seven siblings, exploring the lake and hiding from predators along the way. The book is actually a translation of the French original (previously titled “Plouf, canard sauvage”). 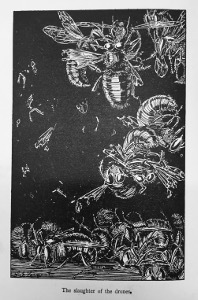 It is part of the Pere Castor’s Wild Animal Books series. Pere Castor (real name Paul Faucher), was an influential educator, who used his new publishing business to create a series of educational works for children. For Castor, images were particuarly important in ensuring children remembered the information they were being given. 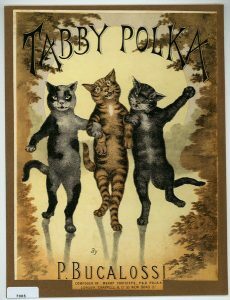 Thus Castor’s books stood out from other children’s books at the time for having high quality designs and illustrations. 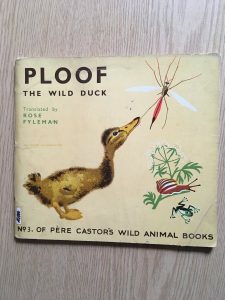 The illustrations in Ploof are drawn by the Russian illustrator Feodor Rojankovsky (Rojan), a respected children’s illustrator who worked with Castor on several works, before moving to America. friends the ducks. The poem was later put to words by the composer Martin Shaw, in “Up Tails, All! (The Duck’s Ditty)”. Shaw who helped to edit The Oxford Book of Carols, was noted for his commitment to the English church and “Englishness” in general. 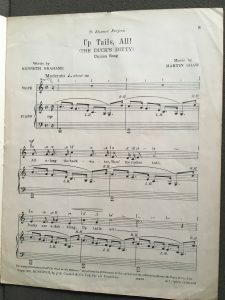 The song was especially popular with school children, with the children being told to “wag their fingers” along to the beat! Our first edition copy of Jemima Puddle Duck (Children’s Collection 823.9. 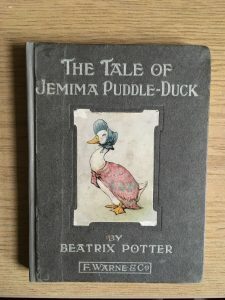 Possibly the most recognisable of the duck related works in our collection, (and this blog writer’s personal favourite), The Tale of Jemima Puddle Duck is one of the most popular of Beatrix Potter’s works. The tale follows a similar narrative to Little Red Riding Hood and other fairytales, as the naive protagonist is led into danger. The tale is also notable for showcasing Potter’s realistic portrayal of life and death on the farm. Our original first edition copy is part of our larger series of the Tales of Beatrix Potter. If you want to follow Hodor in viewing these books, you can find them through our Library Catalogue, or contact us directly via phone or email! Bromley, H. (2001). 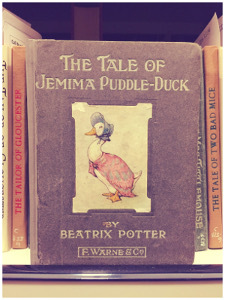 Tale of Jemima Puddle Duck, the (1908). In V. Watson (Ed. 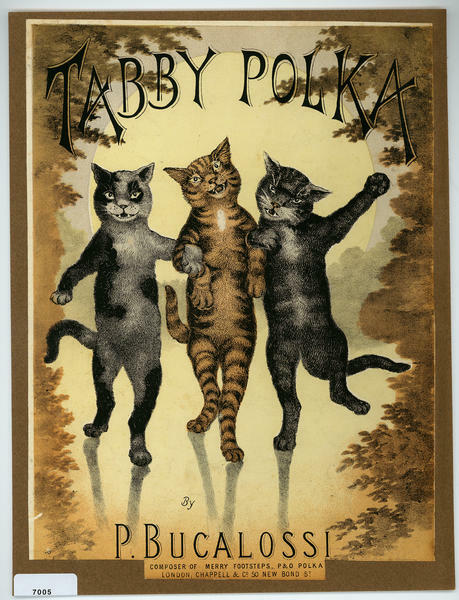 ), The Cambridge guide to children’s books in English. [Online]. Cambridge: Cambridge University Press. Lallement-Renonciat, Annie. 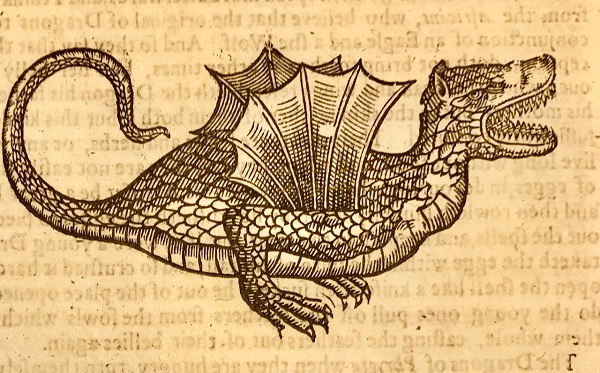 “Castor, Père.” In The Oxford Encyclopedia of Children’s Literature. : Oxford University Press, 2006. “Music suitable for Schools.” (1928). The School Music Review : A Monthly Periodical Devoted to the Interest of Music in Schools, 37(436), 140-141. Nières-Chevrel, I.(2006). Rojankovsky, Feodor. In The Oxford Encyclopedia of Children’s Literature. : Oxford University Press. 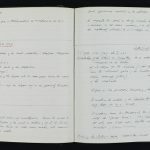 I have recently been cataloguing the personal papers of Professor Francis J Cole, (1872-1959), the first Professor of Zoology at the University of Reading. 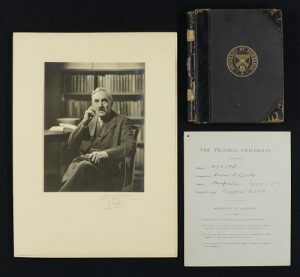 The fascinating papers in the Cole collection include research for his academic writings and publications, bibliographies and indexes relating to his library and his bibliographic studies and photographic material including thousands of glass negatives and lantern slides used by Cole in his teaching. Cataloguing this material has given me an insight into Cole’s research methods and his interests. Cole was born in London, England on 3 February 1872. On leaving school Cole’s aim was to go to Oxford and read zoology. He learnt zoology at the Royal College of Science, and he also attended lectures at the Royal Institution and studied at Christ Church, Oxford and the University of Edinburgh. In 1894 he was appointed lecturer in zoology at Liverpool University College, later the University of Liverpool. He stayed there for twelve years and combined work during term time at Liverpool with research during vacation at Jesus College, Oxford. In this way he obtained a B.Sc. 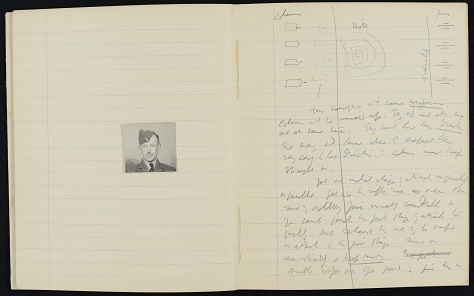 In later years Cole re-used many of his old College notebooks to record his research notes, examples of which can be seen here, alongside a photograph of Professor Cole taken in 1939 (MS 5315/2/2)degree at Oxford by research in 1905.
degree at Oxford by research in 1905. 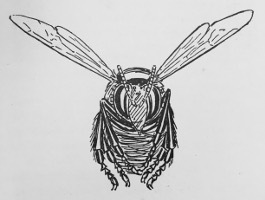 In 1906 Cole took up an appointment as lecturer in zoology at University College, Reading, and in the following year became the first occupant of the chair of zoology, which he held until his retirement in 1939. 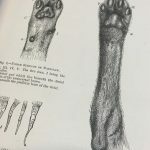 In these thirty-two years he built up a flourishing department, founded a Museum of Comparative Anatomy which is now called by his name, and collected a magnificent library of early works on medicine and comparative anatomy. of the Essex Regiment and was stationed on the east coast in charge of a coastal gun emplacement. Returning to Reading after the war Cole turned more and more to the history of biology. 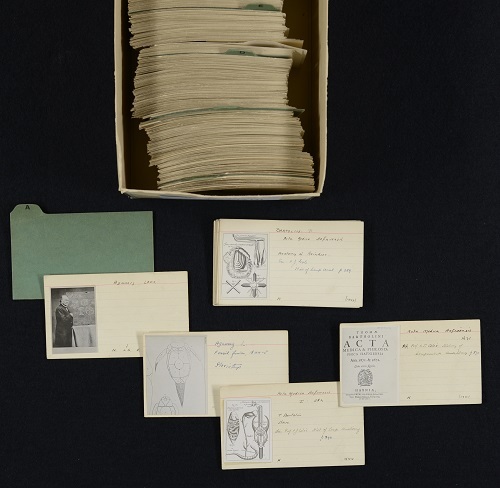 His collection includes research for many of his major publications on this subject, including the zoological researches of Antony van Leeuwenhoek (1632–1723), and his history of comparative anatomy. The material that has survived in Cole’s archive gives you an insight into his style of research, he liked to produce detailed indexes to sources that he used, which refer you to material within his own library and to sources he found in other libraries and museums, so that you can closely follow his research path. 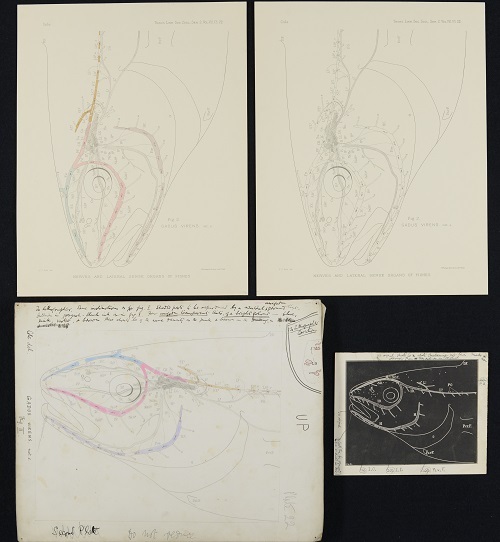 He also took great care with the illustrations produced to accompany his published writings, drawing many of the original images himself and annotating proofs until they were perfect for publication. 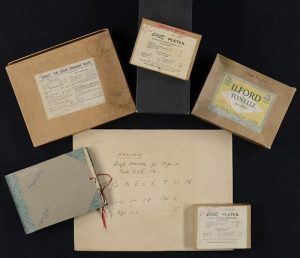 negatives and lantern slides. Ceri, our Reading Room Assistant is currently cataloguing these images and each negative will soon be digitised so that an image of the negative will appear alongside its catalogue description. Our volunteers Ron and Jan are carefully re-packaging these items into acid-free covers and boxes to preserve them for the future. 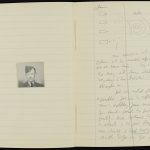 Professor Cole’s papers are available for research in the reading room, reference MS 5315 and the glass negatives will be available to view on our online catalogue in the near future. 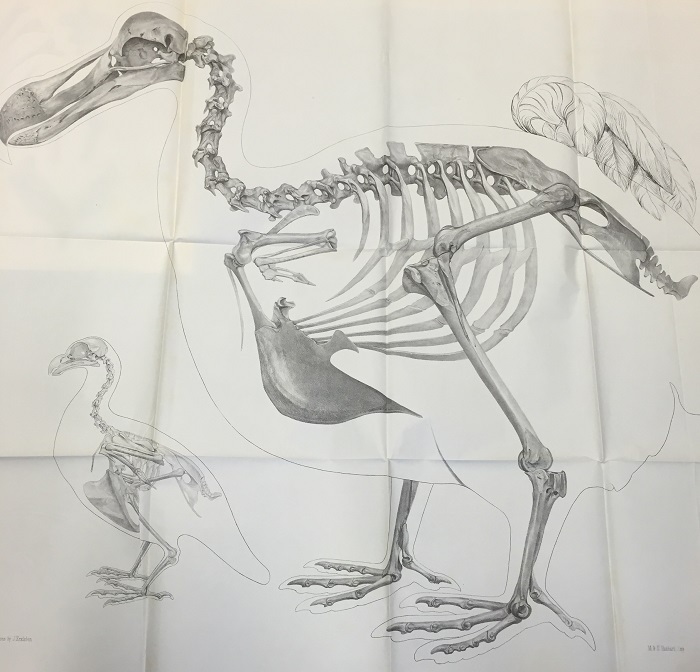 One of the interesting finds from our cataloguing and reclassification of the Cole Library Collection is ‘Memoir on the Dodo’ by Sir Richard Owen, an eminent English biologist and palaeontologist. 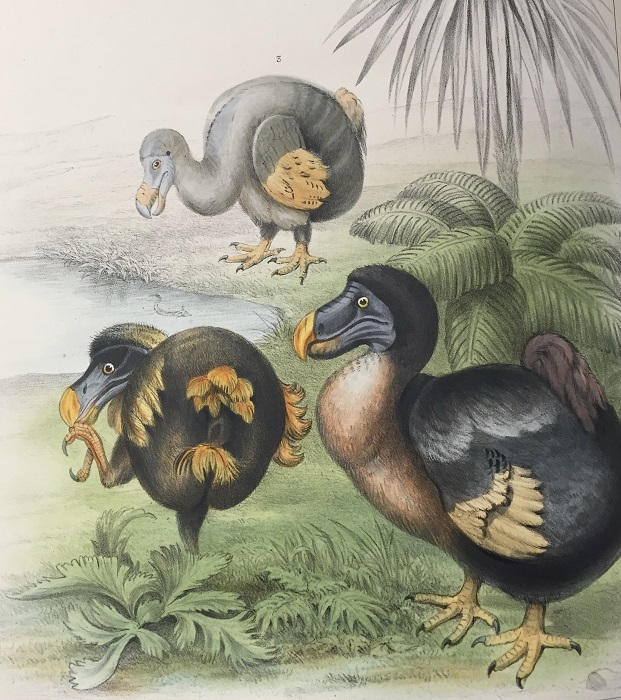 The initial discovery of Dodo remains in the mid nineteenth century led to some controversy in the scientific community. Owen, who was somewhat notorious for his ruthless behaviour, is said to have intercepted material intended for another researcher, Alfred Newton. Owen then argued that, “possession of the best material was a prerequisite for publication priority, which provided him with a complete monopoly,” (Hume, Cheke & McOran-Campbell, 2009). 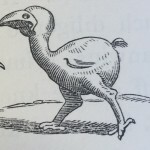 With the success of his application as a Professor in danger of being side-tracked by Owen, Newton was unable to complain and was forced not only to, “relinquish access to the best Dodo bones promised to him, but he also had to withdraw the Dodo manuscript that had already been submitted,” (Hume, Cheke & McOran-Campbell, 2009). 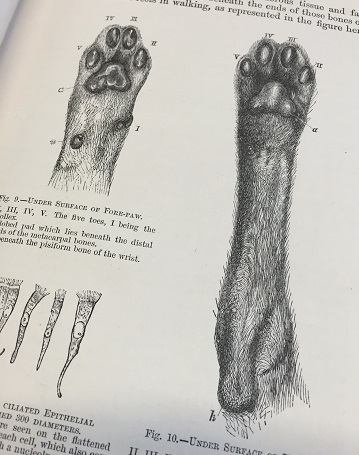 Despite the circumstances surrounding its author, Owen’s work remains a significant contribution to the Zoological sciences. The book consists of a historical introduction by naturalist William John Broderip; an explanation from Owen on how he came to be in possession of the collection of bones discovered on Mauritius by George Clark in 1865, and finally a description of these bones alongside several illustrative lithographic plates. 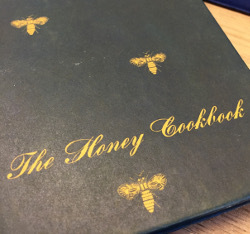 According to Hume, Cheke & McOran-Campbell (2009), the book had a limited run of only 100 copies with 20 intended for presentation to Owen’s supporters. Our volume is dedicated by the author to the Bishop of Mauritius; the friendship between the two having played a key role in Owen’s receipt of the Dodo remains. 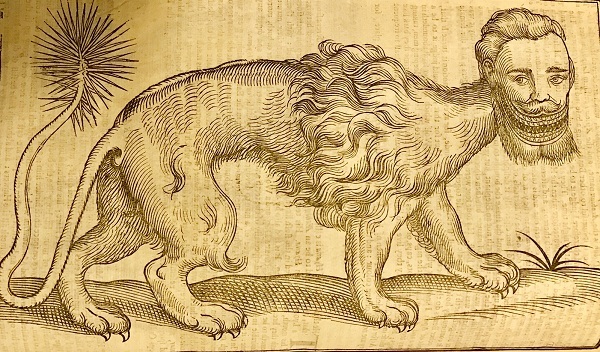 As large as our swans, with large heads, and a kind of hood thereon; no wings, but, in place of them, three or four black little pens (penekens), and their tails consisting of four of five curled plumelets (Pluymkens) of a greyish colour. 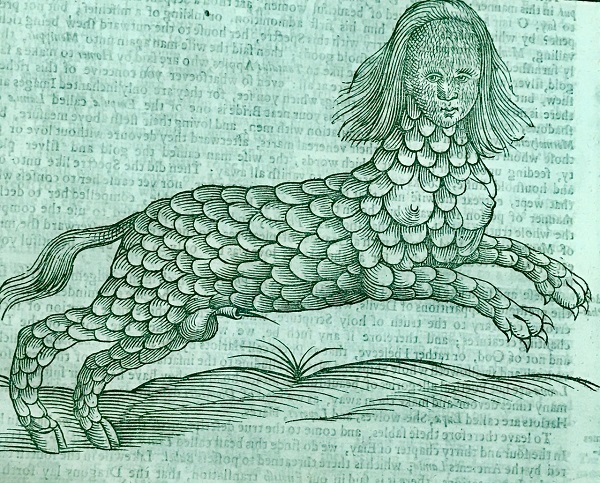 However, Owen’s belief that Savery’s paintings were drawn from a living bird, caused him to make a serious mistake in his reconstruction of the creature. 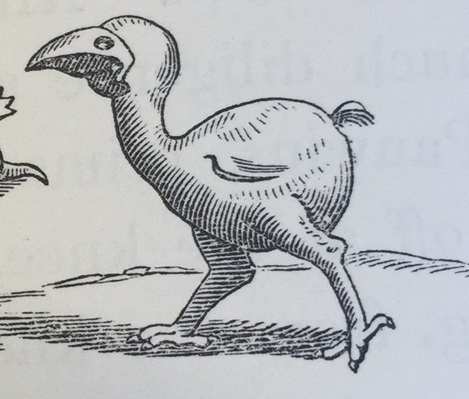 Owen recreated the bird’s image by fitting the skeleton into an outline traced around Savery’s Dodo image but, “this produced an unnatural, squat and overly obese Dodo,” (Hume, Cheke & McOran-Campbell, 2009). While Owen rectified his error in a later publication, the original image stuck and remains a common misconception. A scan of ‘Memoir of the Dodo’ is available here. This edition was published in 1912 and contains a number of beautiful illustrations by British artist and illustrator Cecil Aldin. Unti, Bernard (1998). 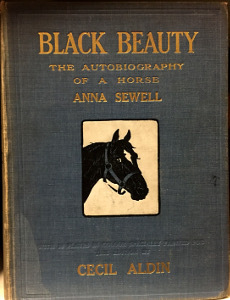 “Sewll, Anna”. In Bekoff, Marc. Encyclopedia of Animal Rights and Animal Welfare. Greenwood Press. p. 313. 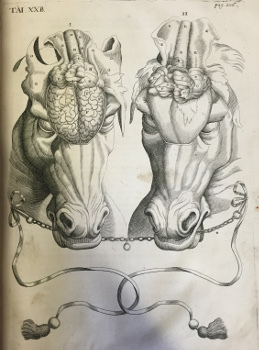 This wonderful book provides a holistic guide to horses; including their history, anatomy and medical care. In an attempt to uncover their place of origin, Miles explores the history of the horse from Biblical times to the reign of Alfred the Great. 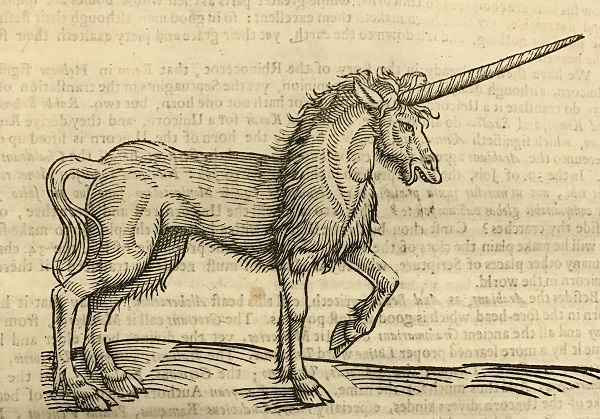 He notes that psalmist David, “speaks with proud distain of horses as used in war,” and that in the era of Solomon a horse would set you back 150 shekels or £17 10s (roughly £800 in today’s money) an immense sum for the time. Having traced the horses ancestry to Africa and Eastern and Northern Asia, Miles goes on to discuss the natural history of the animal, looking at horses from all around the world, including wild horses, those of Persia, India and Arabia. The books gives detailed advice on how to train, ride, race, buy and look after the health and wellbeing of a horse. Unsurprisingly, considering the title of the book, a large section is devoted to ‘shoeing’. It notes the interesting idea that Roman Emperor Nero had his horses shod with silver while his wife Poppea shod her mules with gold! 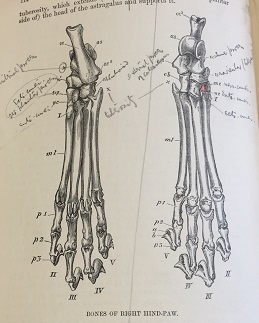 There are also a number of careful diagrams, showing the tools of the farriery trade and the different types of shoe: such as the ‘Pointed Shoe’ supposed to bring comfort to all horses and horsemen (though Miles doesn’t seem convinced) and the ‘Bar Shoe’ useful for horses with poorly feet. This comprehensive and beautifully illustrated book was written by Andrew Snape (1644-1708) who was one of the farriers to King Charles II. 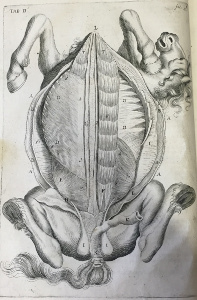 One of the most comprehensive books of its type, (U.S. National Library of Health) it contains five chapters describing the anatomy of different parts of the horse including; the lowest belly or paunch, the middle venter or chest, the uppermost venter or head, the muscles of the body and the bones. 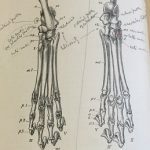 Snape begins by defining anatomy as ‘an opening or cutting up of the body of any animal or living creature whatsoever, whether frequenting the land or water, whereby the knowledge of the frame of its body, and the use of its parts may be attained unto.’ He then goes on to describe each of the parts from the outside in. 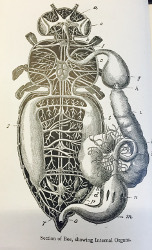 His description of the brain is particularly interesting; he describes it as being split into two parts; the brain (at the front and consisting of the cortex) and the after-brain (at the back and divided into four parts one of which is called ‘Worm-like processes’ as it looks like the worms found in rotten timber). 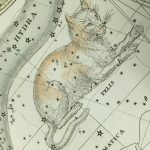 The action of the brain is to elaborate the Animal Spirits, which from it are transmitted to the Medulla oblongata, and from thence into the Nerves, for the sensation and motion of the whole body. A comprehensive look at the history of the Shire horse in Britain, from the animal’s introduction by William the Conqueror in 1066, to their role in the First World War and near extinction with the rise of the combustion engine in 1960s. 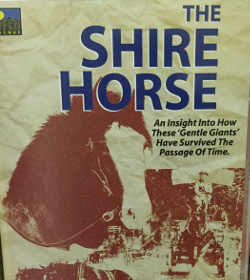 A thoughtful and informative documentary with particular insights from Mr Roy Bird MBE and The Shire Horse Society. Today the theme of Explore Your Archives is Archive Animals so we’re going to have a look at some of our wonderful archive Ducks! Let’s start with perhaps our most famous duck, Jemima Puddle-Duck! UMASCS holds a 1908 edition of the tale, beautifully illustrating the adventures of Jemima who gets into trouble with a fox when leaving the safety of the farm to hatch her eggs. Jemima was based on a real duck that lived at Hill Top farm, the home of author Beatrix Potter. According to the charmingly illustrated ‘Ducks: Art, Legend and History’ by Anna Giorgettii, [Merl Library 4534 GIO] ducks belong to the Anatidae Family, a word derived from the Latin ‘anas’ meaning ‘to swim.’ The book goes on to give all kinds of interesting facts and stories about ducks, including the idea that in ancient China a prospective lover would send a live duck or goose to the woman he desired. Our modern term of endearment ‘duck’ was even used by the Romans in the form of ‘aneticula’ or ‘duckling’ (p82). 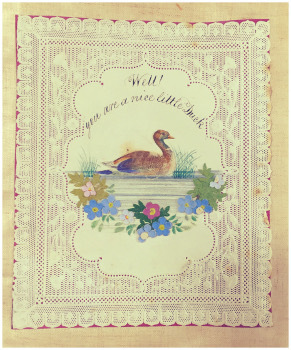 It’s unsurprising then that this sweet Valentine’s Day greeting from our John Lewis Printing Collection (Group XII 1), dating to 1858, features a little duck! 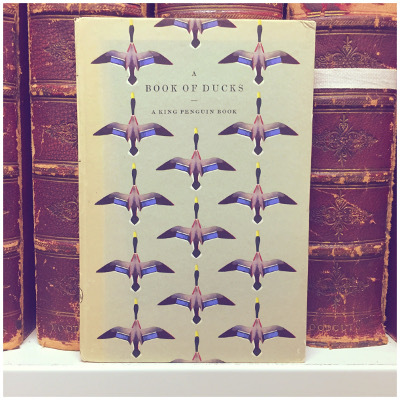 In the beautifully designed ‘A Book of Ducks’ by Phyllis Barclay Smith, we learn that it was King Charles II in 1661 who first formed a collection of wild birds in St James’ Park, so setting a precedent for the creation of collections in parks, lakesides and ponds across the country. The great range of birds within the ‘Anas’ genus is explored in ‘A History of British Birds’ vol. 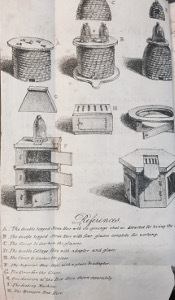 II (1805) alongside beautifully detailed wood engravings by T. Bewick. 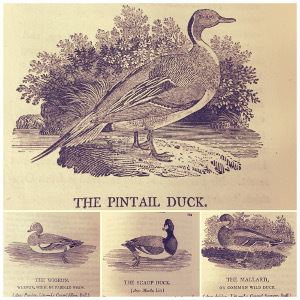 For example, the rather cute ‘Scaup Duck’ (bottom centre in the picture to the right) is described as having a broad, flat bill , a black head and neck glossed with green and fan shaped brown tail feathers. Finally we have ‘Ploof – the wild duck’, number 3 of the Père Castor wild animal books series, written principally by Lida Durdikova. Originally published in Paris in 1935 by Flammarion as ‘Plouf, canard sauvage,’ it tells the story of the duckling’s birth, his first visit to the pond, a frightening attack by a hawk and his adventures out on a big lake before finally describing his migration south for the winter. Russian illustrator, Feodor Rojankovsky, is quoted describing his artistic beginnings developing from a trip to a zoo being followed by a gift of colour crayons. His beautifully intricate drawings of Ploof and his friends show that animals must have continued to fire his imagination!